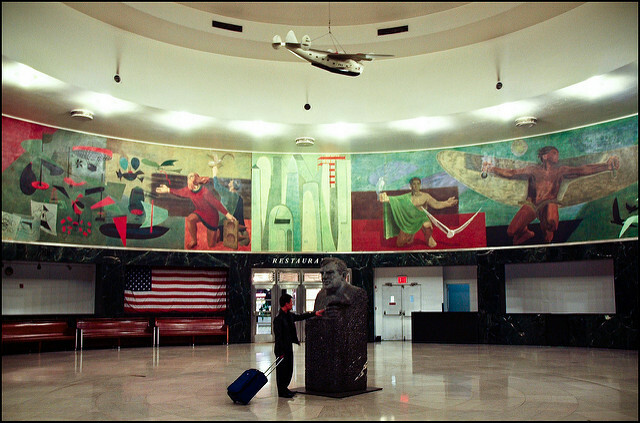 The Queens Council on the Arts has an open call for a new art residency at LaGuardia Airport’s Marine Terminal A, which will come to a close next Thursday. QCA is collaborating with the Port Authority of New York & New Jersey for the ArtPort Residency, which will select four Queens-based artists throughout the year to spend three months producing work in a 110-square-foot space at the terminal. For more information about the residency, contact Queens Arts Fund Associate Dan Bamba at (347) 505-3017, or visit the QCA website. The city’s Department of Cultural Affairs, the Greater New York Arts Development Fund and the New York City Council support the residency.